19th century cut glass objet d’art/ paperweights. 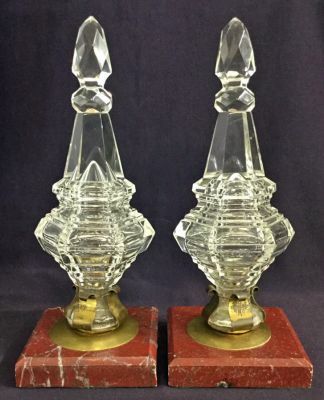 Hexagonal form cut glass, held by brass mounts on a red stone base. 4” square base, 10 1/2” high.